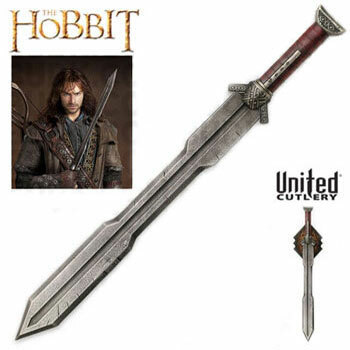 Regal Sword of Thorin Oakenshield for sale is 37 inches in all. 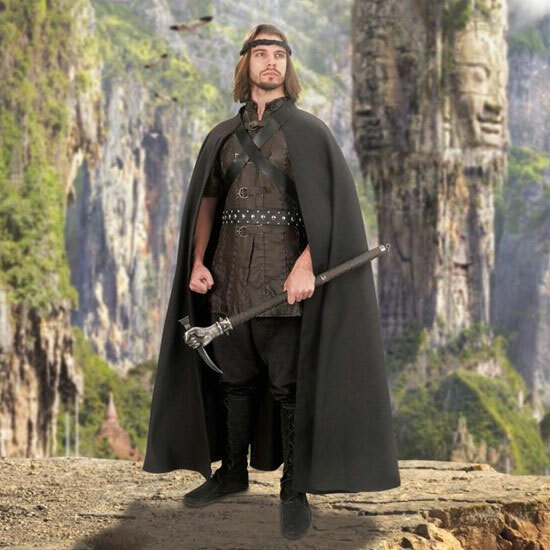 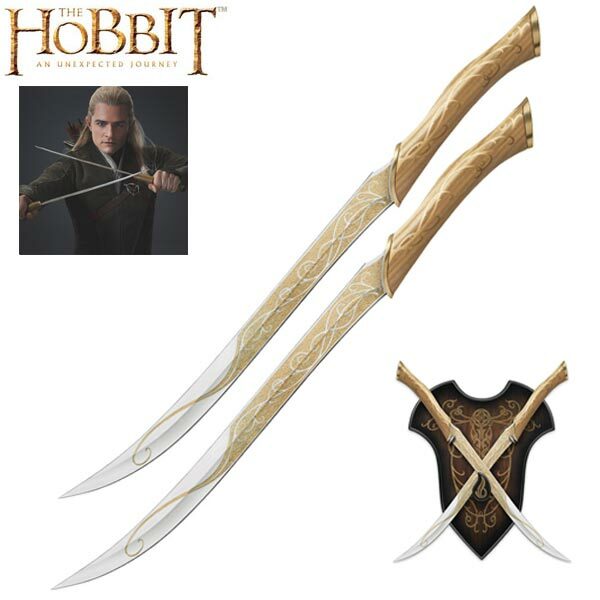 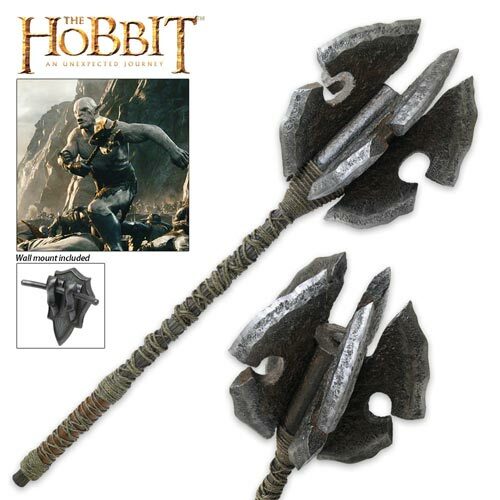 These officially licensed Hobbit Movie collectibles, the Thorin Oakenshield Regal Swords, are made of realistic-looking Polyresin instead of steel and include a wall display. 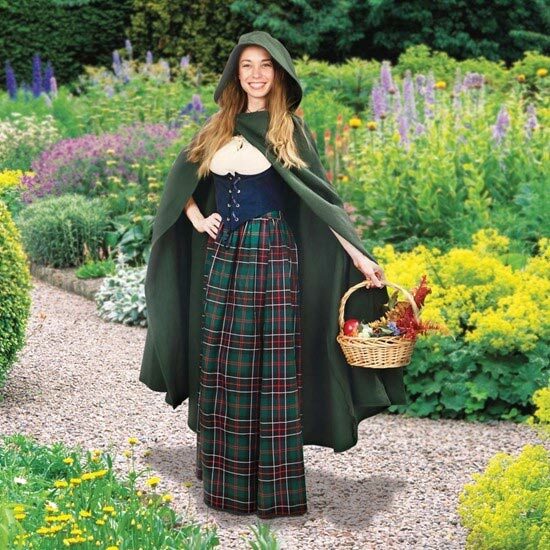 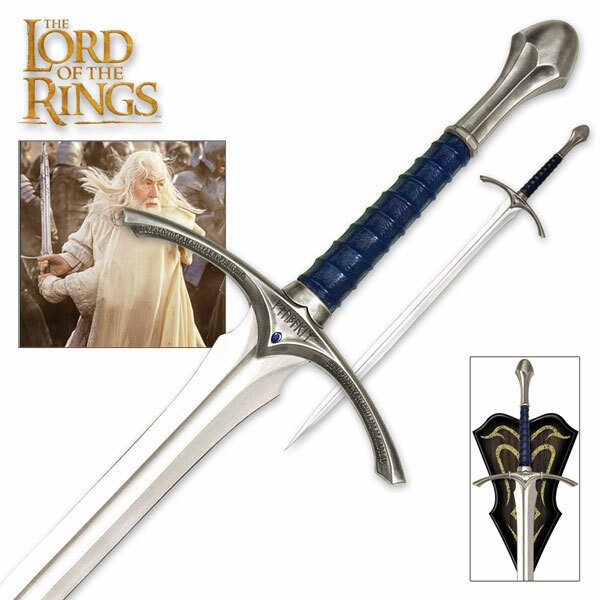 These meticulously detailed replicas feature Polyresin construction that has hand painted coloring and weathering effects. 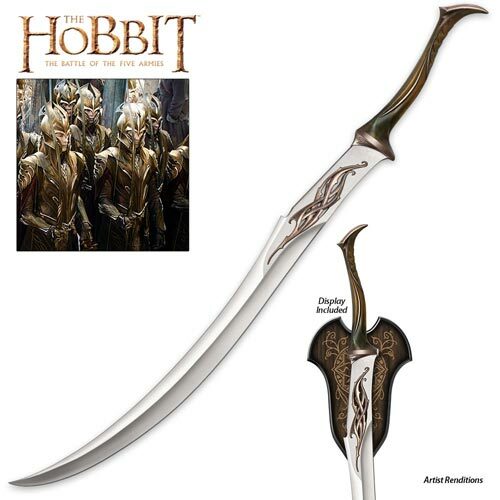 They have an elaborately sculpted raven on the hilt, gold colored accents and a golden color inlay on the blade. 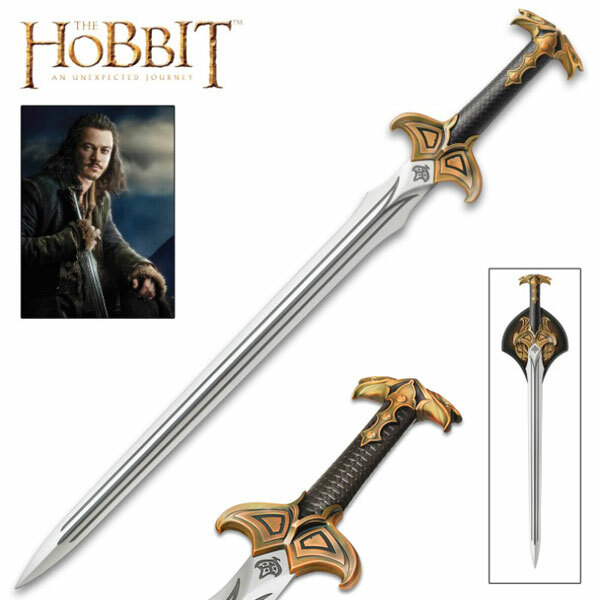 These movie swords include a 3-Dimensional poly stone wall display that is sculpted to match the regal war shield of Thorin Oakenshield. 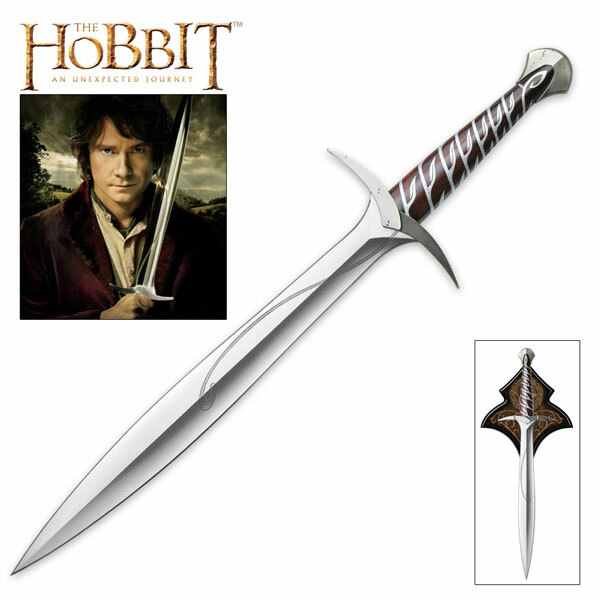 They are serial numbered and include a certificate of authenticity. 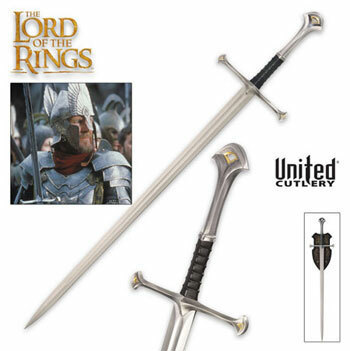 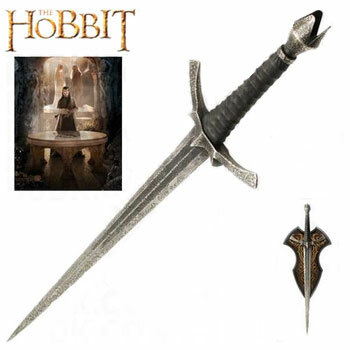 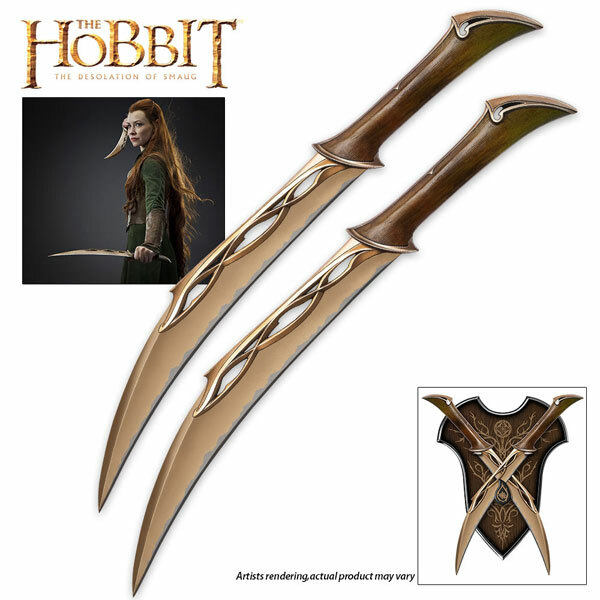 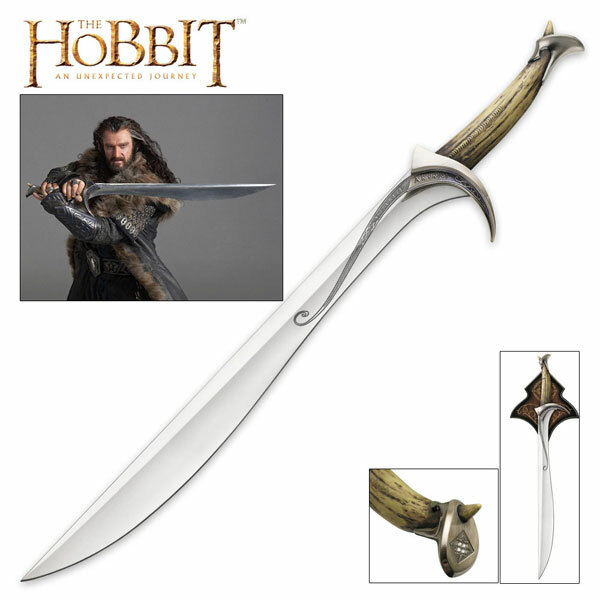 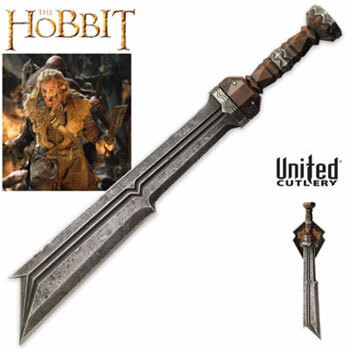 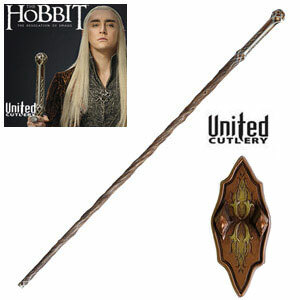 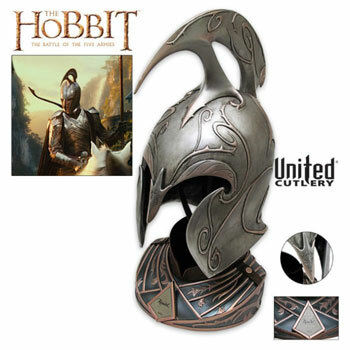 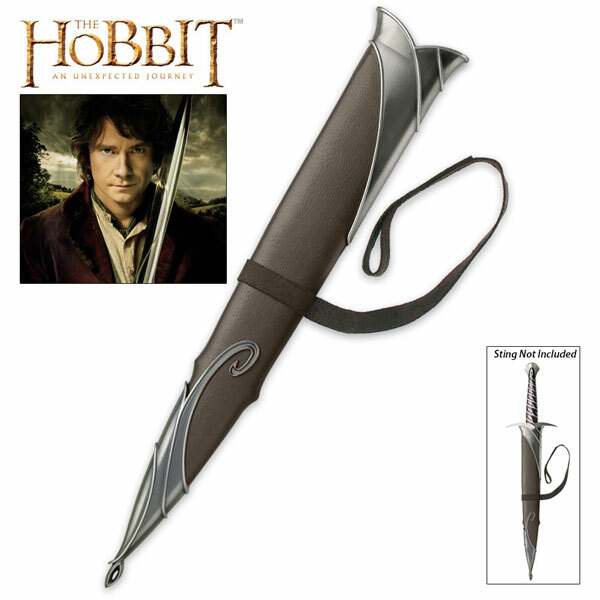 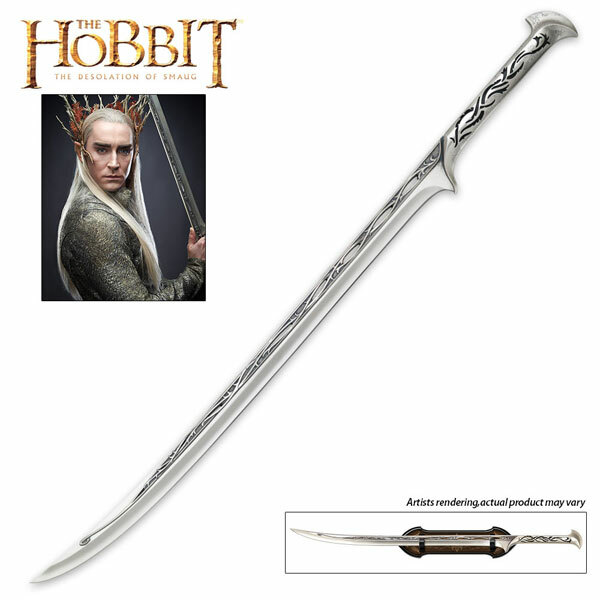 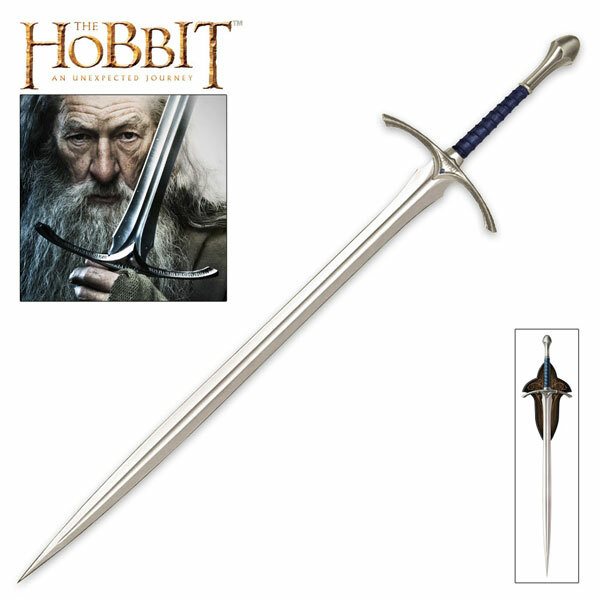 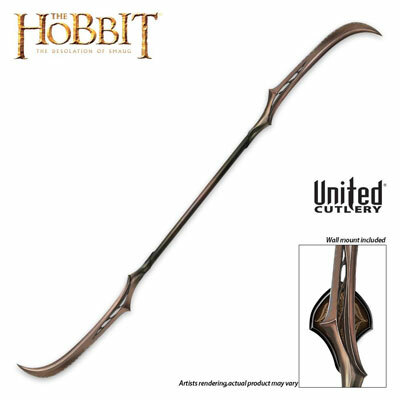 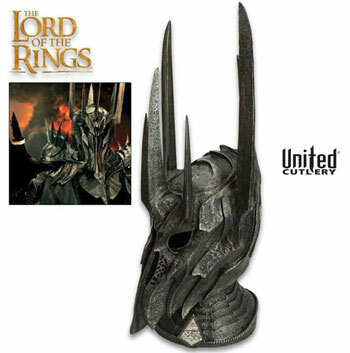 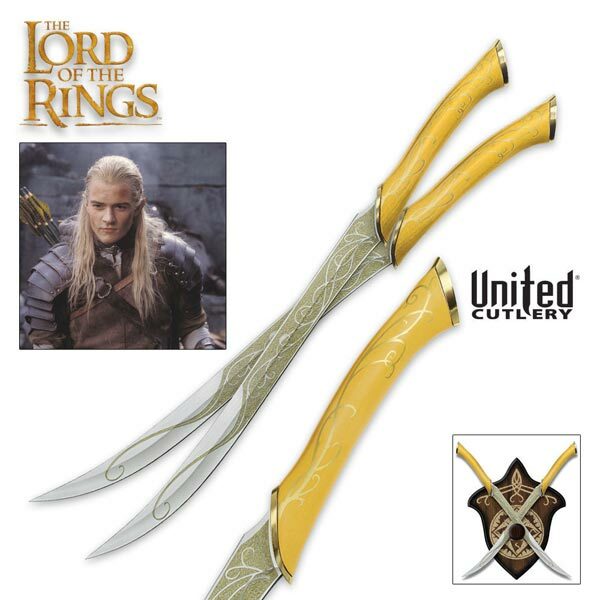 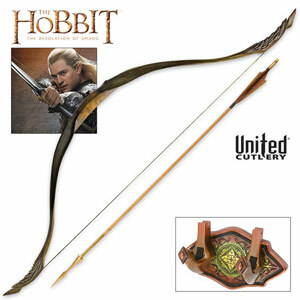 These are officially licensed swords from The Hobbit: Battle of the Five Armies movie and are made by United Cutlery. 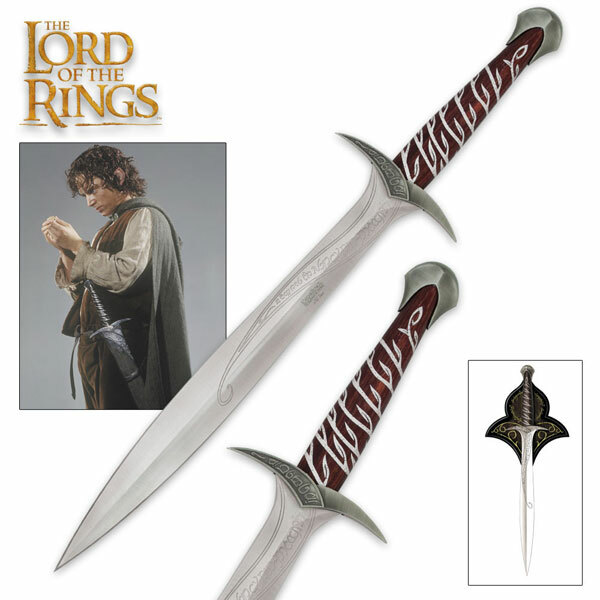 Each sword is individually serial numbered. 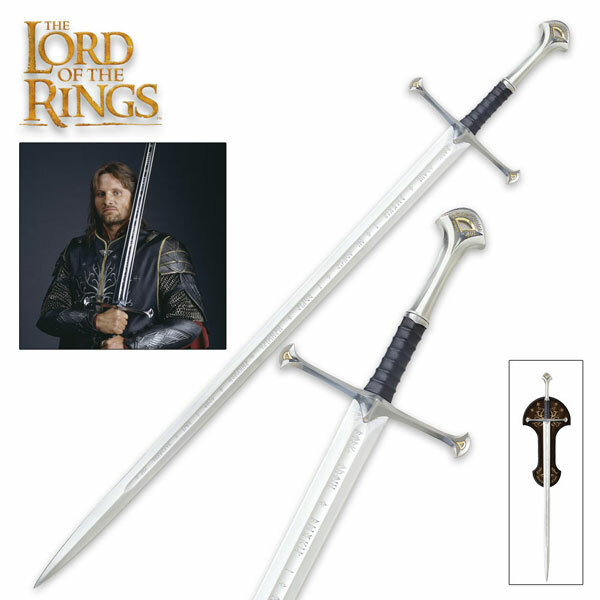 These beautifully detailed swords weigh over 11 pounds. 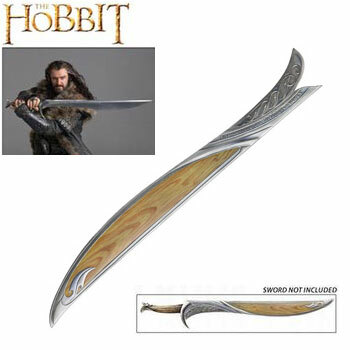 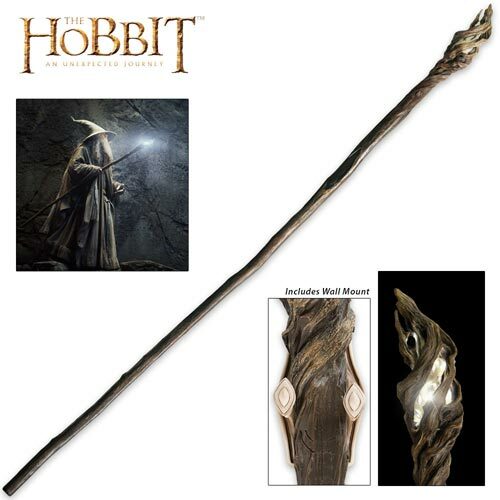 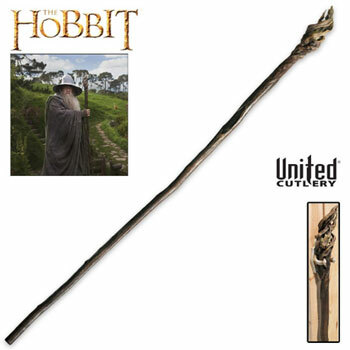 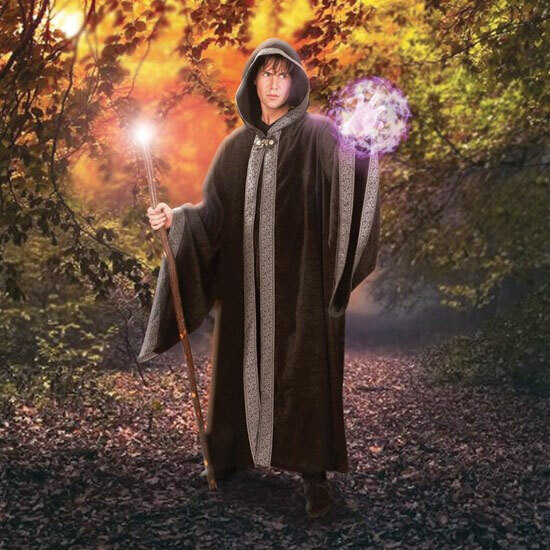 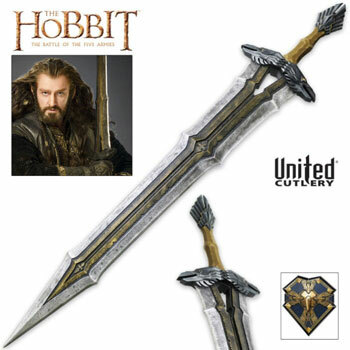 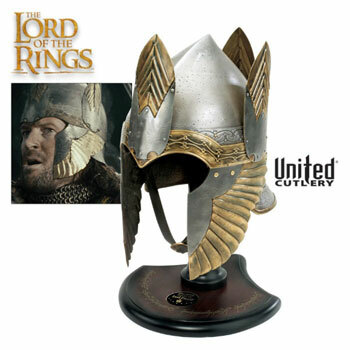 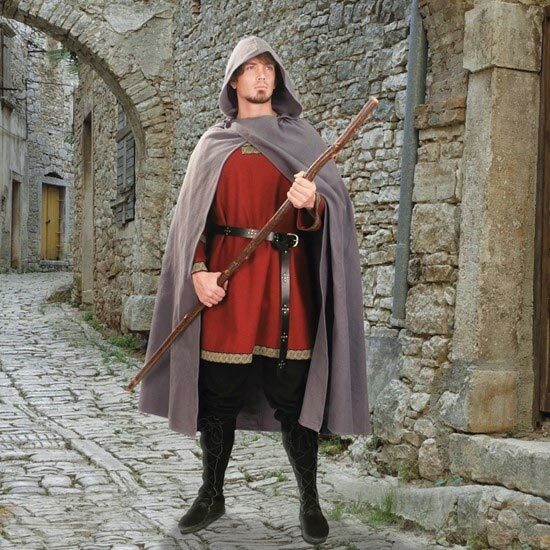 Buy the Regal Sword of Thorin Oakenshield for $299.99.